Can you tell I'm really into glitter liners at the moment? Here is my second glitter liner look in a row! This was partially inspired by a look that was created by the fabulous stephelf over on Instagram, and partially by an old look of my own that was done so long ago it hasn't been featured on my blog. 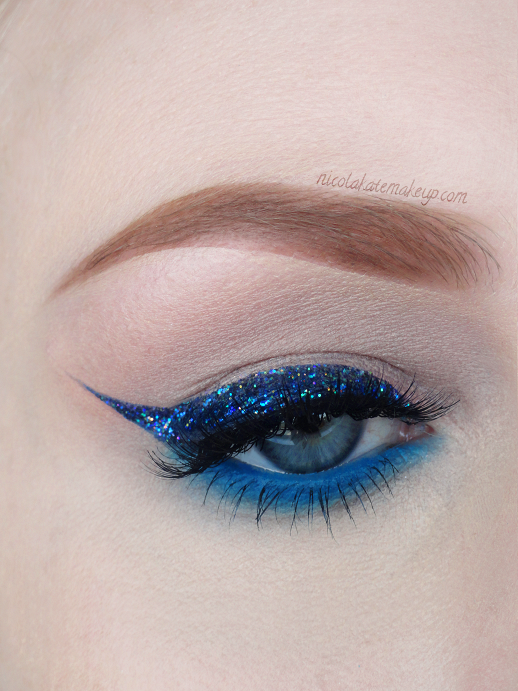 The 'Spandex' Heavy Metal Glitter Liner by Urban Decay happens to be one of my all-time favourite glitters, but since it is clear-based I layered it over the very beautiful Skinny Liquid Eyeliner in 'Navy Blue' by Eyeko to get a solid, opaque eyeline. I also opted for natural looking false lashes to ensure that the glitter liner was kept well on display. A very striking twist to a classic favourite. What do you think? 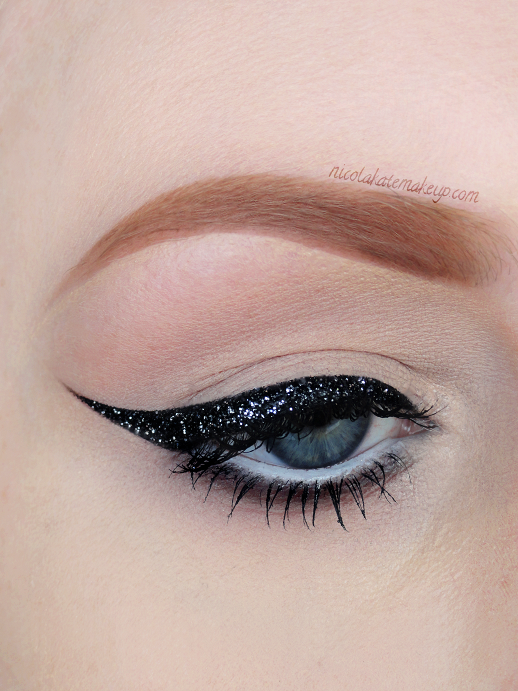 Is a dramatic glitter liner something you would wear? Another re-creation of an older look. 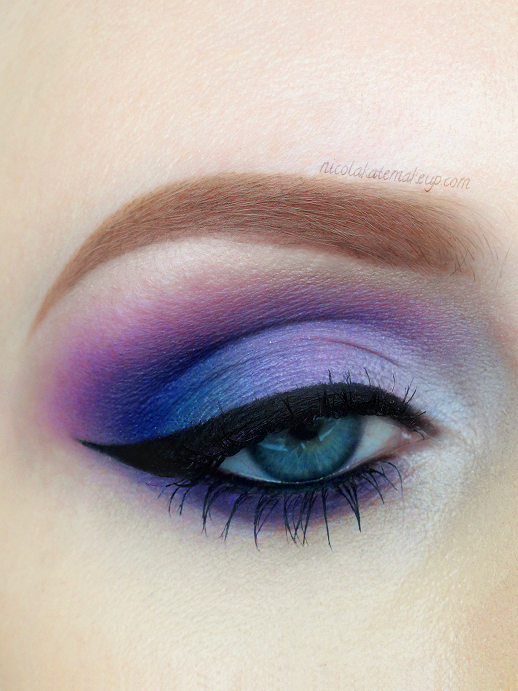 This look is actually one of my favourites, even though it's extremely simple! This time around - in comparison to the first version I did - I decided to leave the lid completely clean without the use of a crease colour to ensure that all focus stays on the eyeliner. 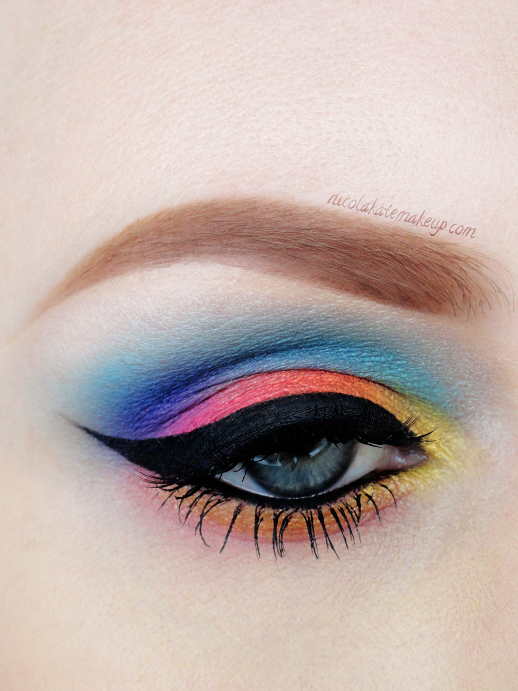 I instead lightly blended a darker shadow along the bottom lash line, to make sure that it didn't look too bland. I also elongated the wing more this time, for a more dramatic effect. The same as last time, I decided to leave out false lashes as I thought this would hide some of the pretty glitter, which is the whole point of the look! I do love a cheeky glass of red wine every now and again so this morning I threw together this look that is heavily inspired by one of my favourite alcoholic drinks (hehe). 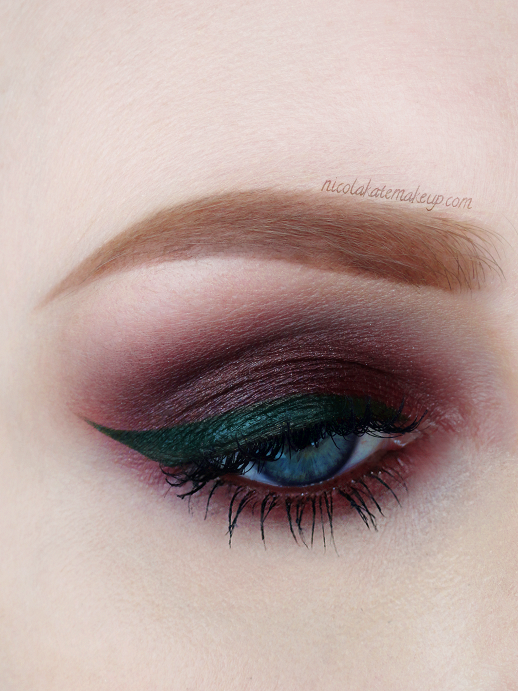 I kept this look fairly simple and true to a bottle of vino, using only one shade across the whole lid and a gorgeous, deep green eyeliner to represent the bottle. Can you tell that I am completely and utterly in love with Motives cosmetics yet? I am obsessed with these products and I have been using them in most of my recent looks as I just can't get enough of them! Motives have such a HUGE variety of products within their cosmetics line and the quality of them is spot on. I also need to point out how divine the Eyeko Skinny Liquid liners are, and the 'Olive' one I used in this look is simply stunning - and it would look especially gorgeous on you brown-eyed gals. One of my favourite things to experiment with when it comes to doing my makeup is to recreate some of the looks that I've done far in the past. This way, I can easily see how my skills are improving compared to how they were when I originally created some of the looks I re-do. 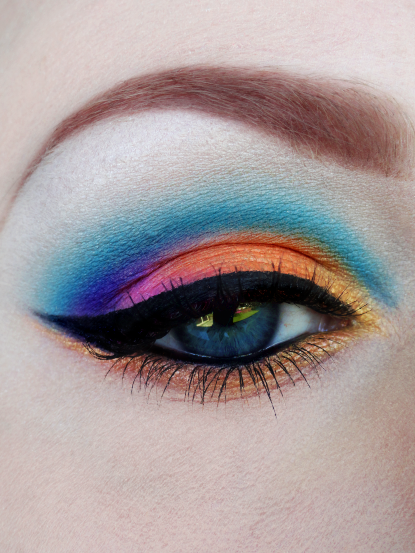 This particular look I did way over a year ago which was originally inspired by Chrisspy and is probably one of my favourites when it comes to all of the brighter, more colorful looks I've done over the months. I love how bright and vivid it is, and the contrasting clash of all of the different shades. It reminds me of all things tropical! Please, please, please excuse my spidery bottom lashes. I'd already had mascara on for a good portion of my day and some of it had flaked off a little, so when I went to reapply it the inevitable happened and they went all clumpy. Typical me cutting corners instead of just removing it altogether, lol! Below is the original look that I recreated today. You can see how much my skills have improved here! Especially when it comes to applying my eyebrow makeup... *cringe* My blending is now much better, my eyeliner application has definitely improved and I also like to think my photography skills are somewhat a little better now! I mostly used the exact same palette that I used the first time around. 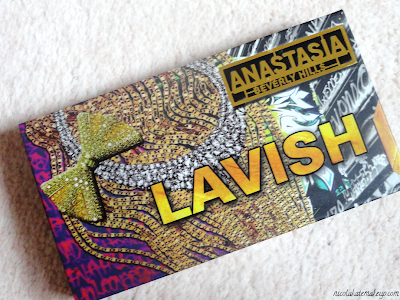 I'm so happy to finally be able to say that I'm now the very proud owner of a few Anastasia Beverly Hills products! I've already used a few of these products in some of my most recent looks, and you can definitely expect to see me using these in a lot more. 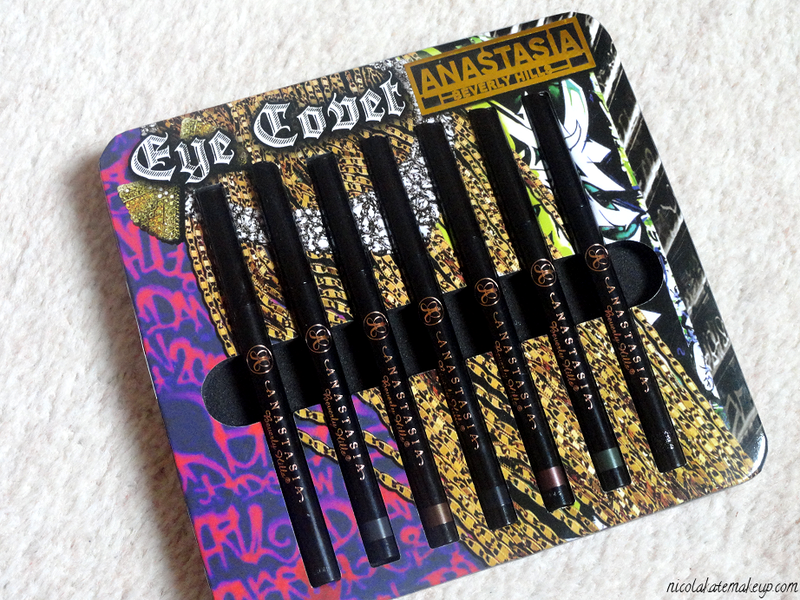 Like many of the products I post about on here, I'd heard so many great things about Anastasia's cosmetics line within the online beauty community, so you can imagine that 'excited' was an understatement when I received my Lavish kit, Eye Covet eyeliner set and a couple of brow products in the mail. And let me tell you that these products certainly live up to the hype. Please note this post is image heavy. When I saw that the incredibly talented Chrisspy had posted this image to her Instagram earlier this week, I already knew that it was a look that I was going to try and recreate. Chrisspy and BH Cosmetics have announced that they will be giving away a free palette to whoever can come up with the best recreation of her look - so this gave me even more reason to give it shot! Since I'm already a fan of BH Cosmetics, I decided to create my look using nothing but the eyeshadows out of their 2nd Edition 120 Color Palette. I really enjoyed this challenge, although I did forget to apply falsies - oops! Here is my current brow routine in pictorial form, as it's something that I've been asked to do quite a few times over on Instagram. I've only been using the Anastasia Beverly Hills Brow Wiz and Tinted Brow Gel for a little over a week, but they've quickly become some of my favourite products to do my brows with. This is my more 'natural' everyday brow style, compared to my heavier, more defined brows that I normally opt for when I know I will be photographing my makeup, but I use the exact same method when doing my brows either way - I just go a little heavier with the products. As you can see, I naturally have very fair and sparse eyebrows, so filling them is a necessity for myself. Before anything, give your brows a quick comb through with a spoolie or a brow groomer. Then, begin by lightly underlining the bottom of your brow with your pencil/powder of choice, following the shape of your natural brow. Then, start creating your desired brow shape by moving on and doing the same to the top of your brow, making the arch as rounded or as high as you desire. Begin filling in the centre of brow using light, short strokes to help mimic the appearance of natural brow hair. I usually lighten the pressure of my pencil/brush when working on the inner portion of my brows to ensure they still look as natural as possible. Again, use a spoolie or brow groomer to comb through the brows to remove any excess product that might of clung to your natural brow hairs and to ensure everything is nicely blended - Move onto using your concealer and a small flat brush to carve out the underside of your brows. This helps everything look much more tidier. Lightly apply a tinted brow gel to make sure that everything is looking smooth and that your brows stay put all day. 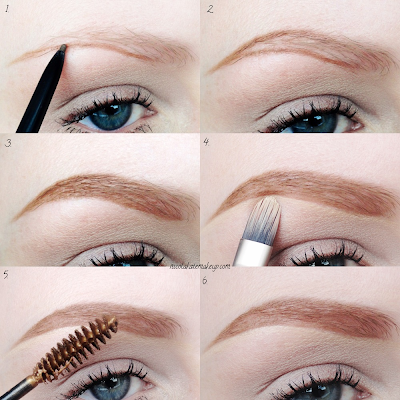 Brush through your brows once more to get rid of any product build up, if there is any. One of my current favourite eyeshadows is 'Heavy Metal' from the Motives by Loren Ridinger eyeshadow collection. I'm obsessed! This shadow immediately stood out to me when I was taking a look at all of the different colours and I couldn't wait to use it as it has such a gorgeous pearlized finish. 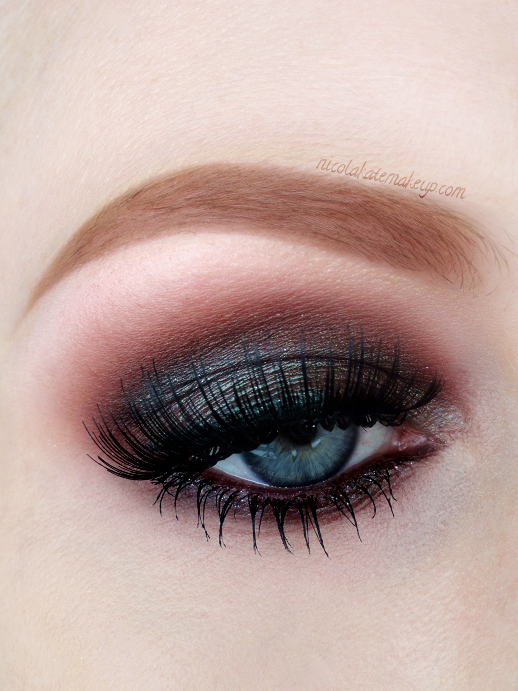 This shadow also particularly reminds me a lot of MAC's 'Blue Brown' pigment once it's applied. I love how edgy and grungey it is, but the sparkles keep it looking very pretty and feminine at the same time. This eyeshadow definitely lives up to it's name! Do you love it as much as I do? 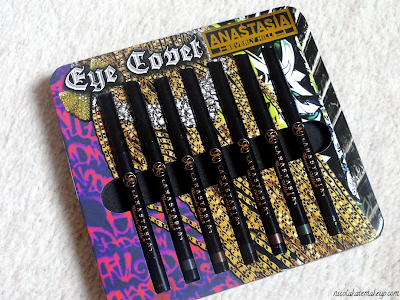 It's no big secret that I'm a massive fan of Eyeko's liquid eyeliner and mascara collection, and Eyeko have also found themselves a personal favourite of renowned fashionista, model and writer, Alexa Chung. Alexa has teamed up with the creators of her all time favourite Skinny Liquid eyeliner to launch a limited edition liquid eyeliner pen for liner-lover's all over the world. The partnership originally arose as Eyeko founders Max and Nina Leykind became aware that Alexa had been using their Skinny Liquid eyeliner to create her signature cat-eye flick for years, in which they immediately recognized the opportunity for Alexa to put her own stamp on the brand. Nina Leykind speaks about the collaboration: "Eyeko is one of beauty's best kept secrets and I love that our brand has been behind Alexa's cat-eye flick. Eyeko is all about eyes and I wouldn't consider anyone except Alexa to embody that as she is the epitome of . With Alexa's iconic loks and creative flair we're confident the partnership will be a game-changer for Eyeko propelling the brand into the forefront of the beauty industry." Max Leykind says: "I'm not interested in paid for celebrity endorsements or finding a face to front campaigns following the route of traditional brands and neither are today's discerning shoppers. Alexa is equally obsessed as we are with making Eyeko the definitive eye makeup brand." Alexa's product range will debut in November in the UK at Selfridges, and in early 2014 in the US at Sephora. You can also read my thoughts about this brand and see swatches of Eyeko's wonderful products here. Stay tuned for my review of Alexa's Eyeko Liquid Liner!